The placenta is an organ that links the mother and baby together. Its function is to enable the fetus to take oxygen and nutrients from the maternal blood, and pass waste products and carbon dioxide back to the maternal blood. It forms a barrier against the transfer of infection to the fetus, and it serves the same function as the kidneys, lungs and intestines before the baby is born. It passes antibodies from the mother to the baby, which gives the baby immunity for about three months after its birth. 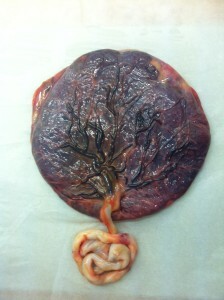 So really, I don’t have to tell you that the placenta is a truly amazing thing! The placenta itself is packed full of hormones, stem cells, growth factors and vitamins and minerals, all of which can benefit a mother after the birth of her baby. Placentas have been used in the beauty industry for many years; with human placenta being used in face creams and energy drinks. So why eat your placenta? Why Not! It is full of stem cells, growth factors and iron that aid you in healing and the recovery of blood loss. It can help with your milk supply, and help you avoid the baby blues and post-natal depression, by nourishing and replenishing essential nutrients and hormones following the birth. The first thing people think about when you mention that you would like to eat your placenta is a gruesome image of you tucking into a plate of it raw, or sautéed with onion’s! But the truth is very different! It is very possible to eat it raw but the process can be made a lot more palatable by making a wonderful fruit smoothie! Just a small piece of placenta is blitzed with fresh fruits to make a soothing, cool and refreshing drink that almost instantly revives the new mother. 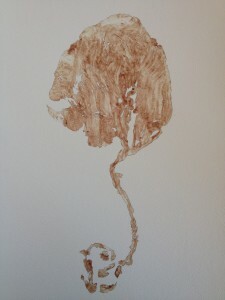 So what else can you do with your placenta? Well the list is in fact quite long! The most popular process is to have it encapsulated. The placenta is eit her steamed (TCM, Traditional Chinese Medicine method) or sliced raw and then dehydrated. It is then ground and filled into vegetable capsules. Both methods work in the same way, and are taken orally for as long as the mother feels the need to or when they run out! You can use a small piece of placenta to make homeopathic remedies that are in the form of little pills for yourself and your baby. A tincture, which is when a piece of placenta is soaked in alcohol for 6 weeks. This makes a potent remedy for the mother to take in times of transition, emotional, mental and psychological instability and may also be very beneficial for treating PMS and the menopause. That is why I usually suggest making a tincture or essence as well as encapsulating. This way you have a supply of remedy after your capsules have finished. If stored correctly both the essence and tincture can last indefinitely. An essence holds a tremendous power to heal you and your child. With the essence a small piece of placenta is steeped in distilled water for 4 hours of sunlight, then strained and topped up with 40% alcohol. A placenta essence can be an excellent replacement remedy if you need to stop taking your TCM placenta capsules due to infection (this is because they say the energy and heat in the capsules helps feed the infection, like flu or mastitis). 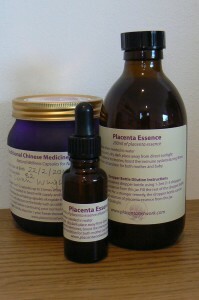 The placenta essence helps support the body emotionally and physically during times of illness. You can also make amazing creams and balms to help with scaring, healing infections, wrinkles and the signs of ageing, the list goes on! 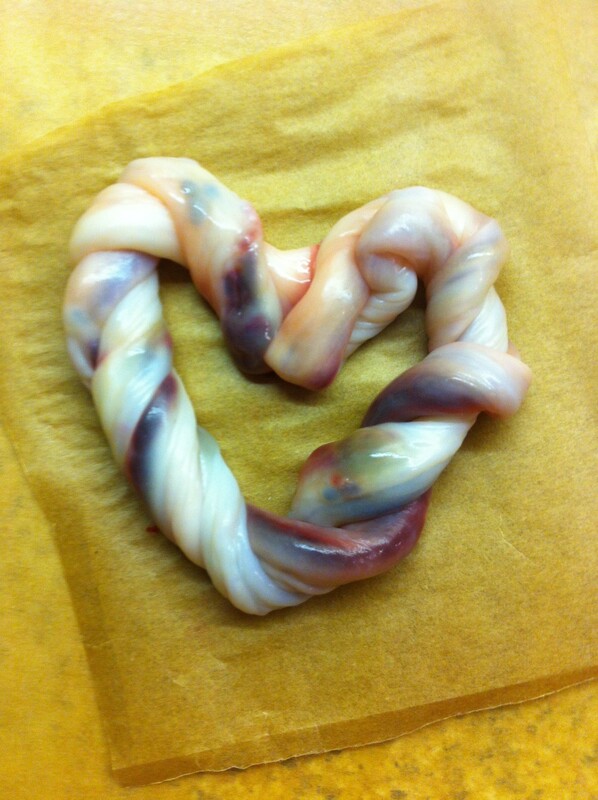 And then there is the very precious keepsakes that you can get from your placenta. 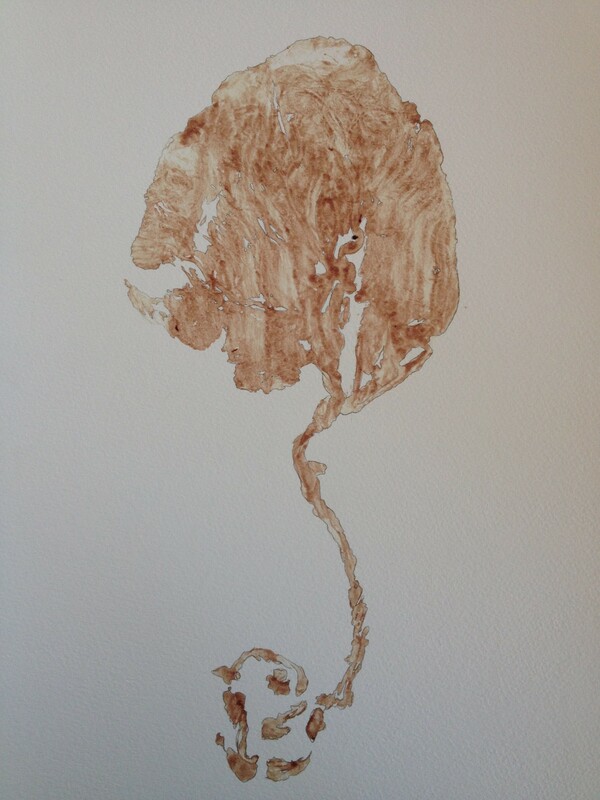 The cord keepsake is usually shaped into a heart or other form if wanted and then dried, and a beautiful print of your placenta is a wonderful way to frame forever the magical tree of life that has grown inside you, beside your baby, keeping it safe and secure for 9 months.